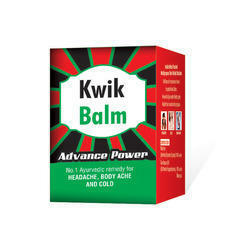 We are offering Kwik Pain Balm to our clients. We are engaged in presenting to our patrons an extensive variety of Himalaya Cold Balm. Our products are processed as per worldwide quality norms and employing latest technology machinery. This is Very Useful Pain Relief Formaula based on Ayurveda , Combination of Rich Herbs helps in Multiple Pains Like Body Ache, Cold , Joint Pain , Muscular Pain etc. 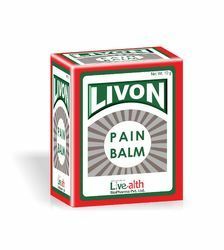 Ayurvedic Pain Balm (De-Heat Ointment) for quick relief from foot burning and Also used for treating minor aches and pains.